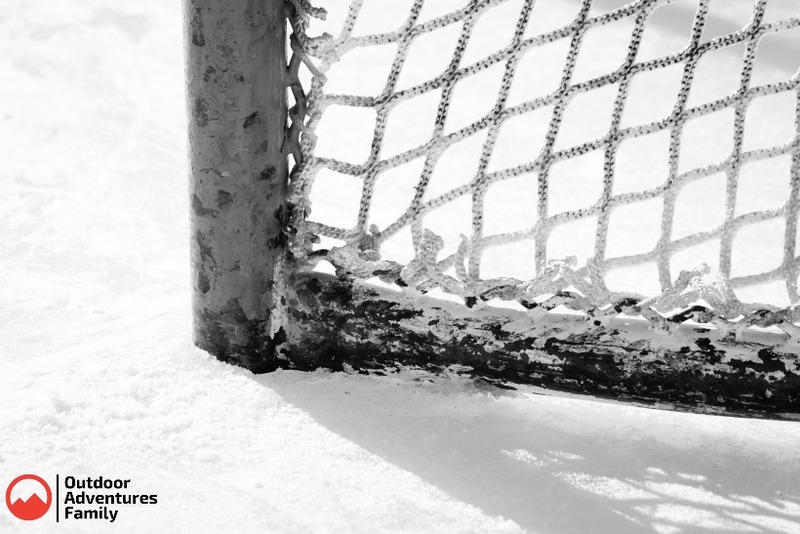 Have you ever priced out heavy-duty steel hockey nets? They aren’t cheap! What if you could find an old one that just needs a little TLC. 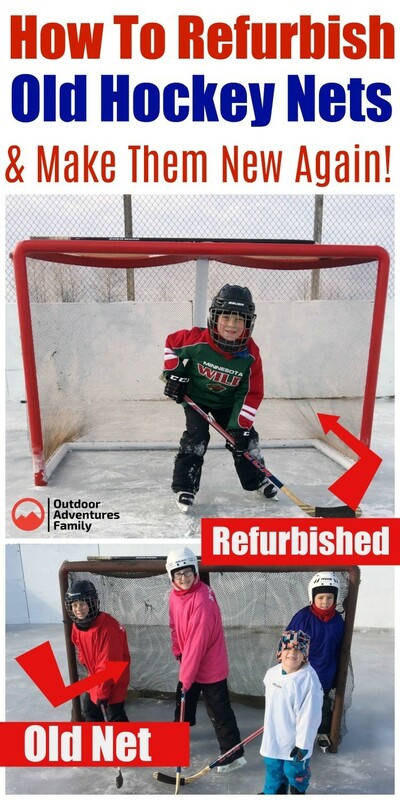 This is how I made my old worn-out hockey nets look brand new! I’ll show you exactly how to refurbish an old hockey net to look new again. What’s a backyard rink without nets? Well..we won’t go there. 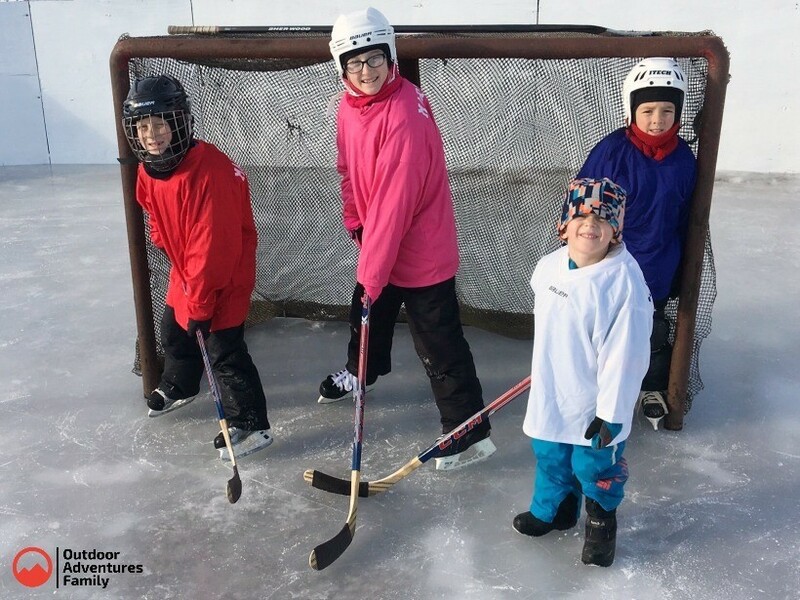 Let’s just say hockey nets add a whole new element of fun to the backyard rink adventure. If your hockey nets look like mine, I mean like mine did, here is what you can do to make them look nice and new! My hockey nets had old, worn-out netting on them, which actually wasn’t hockey netting at all. It was netting that was used for fishing. It worked just fine, but needed a little work. The first step for me was to remove all the old netting, I used a combination of a utility knife and heavy duty scissors to remove all the netting. The next thing I did was remove all the old paint. On the first net, I just removed the loose paint. I felt the new paint didn’t adhere as well as I would have hoped, so on the second net, I used a wire wheel on a 4 1/2″ grinder and got it down to the bare steel. Once I had all the old paint off I wiped the metal down with wax and grease remover, to make sure the metal was perfectly clean and ready for the new paint. When they were both ready for paint I decided to go with Rustoleum. I first used the Rustoleum primer followed by a few coats of Safety Red for the uprights and crossbar and White for the pipes that are on the ice. I feel the white paint color helps reflect the sun and keep the nets from melting into the ice. It is very important to follow the instructions on the paint can for the drying time. Allow the paint to fully cure before you start tying the netting on. Now you are ready to tie your netting to the posts. This can take some time, so be patient and make sure you get the netting fairly tight, it will stretch over time, with use. If you are looking for heavy duty hockey goal netting it can be rather pricey. I wasn’t sure if I wanted to spend that much on netting right now, so I went with two other options I will share with you. I did a bunch of research to find quality netting for hockey nets. The best netting I found was at arizonasportsequipment.com. The next time I need new netting, I will be purchasing from them. On the first net, I decided to use the leftover fish netting I had. I bought 1/8″ sash cord to tie the netting to the posts. I used the center of the top crossbar as my starting point. It is easiest if you take cable zip ties and fasten the netting to the upper crossbar in the center and then both end, then to the lower crossbar in the center and both ends. Now that the netting is laid out the way you would like, take your sash cord with a length from center to one end, double that and add about 12″, start by tying a knot at the center of top crossbar, weave the sash cord through the net and eyelets on crossbar. I made a half hitch knot every few eyelets to cinch the net tight, keep repeating this pattern until you reach the end, then tie the cord off using a knot that won’t slip. Then you can start back at the center and go the other way. After that start at the top and lace down each side. Finish by lacing the net across the bottom. On my second net, I used the same exact lacing technique. For the netting, I decided to try the Bauer Performance Replacement Netting, we will see how it holds up. I have only had it for one season. It has worked great so far! 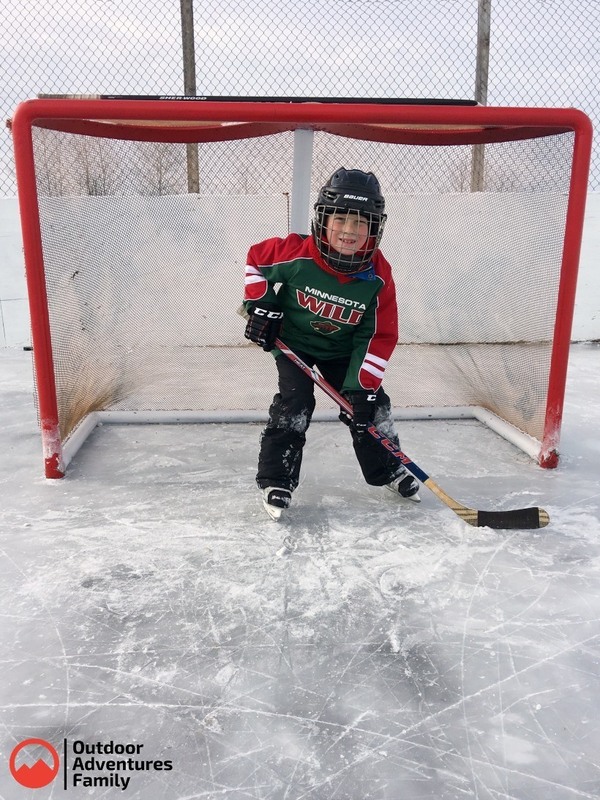 Your hard work and patience will pay off, you can save a lot of money by spending a little time making that old hockey net look new again, now all you have left to do is get that net out on the rink and shoot some pucks at it!! Happy backyard rinking!